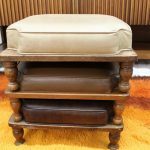 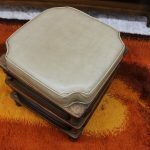 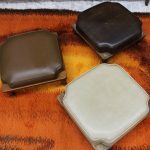 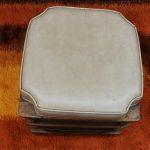 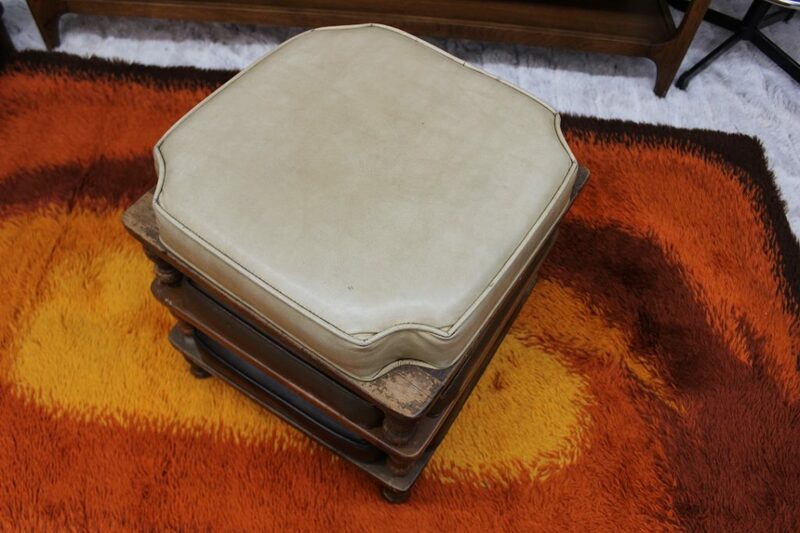 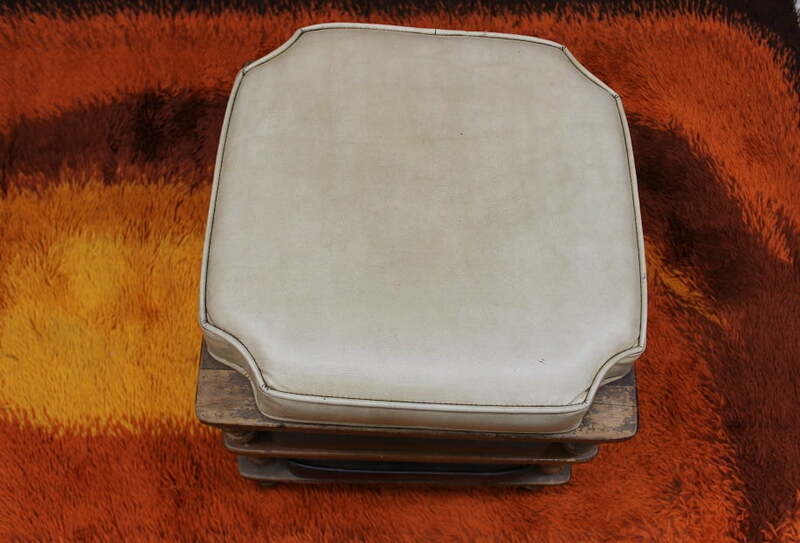 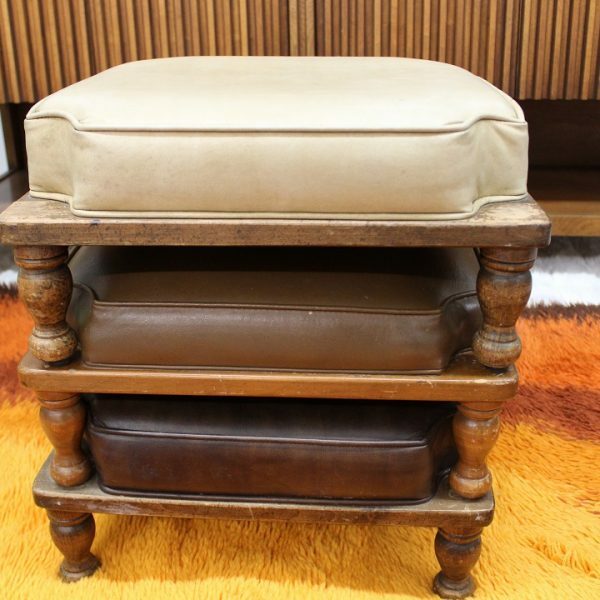 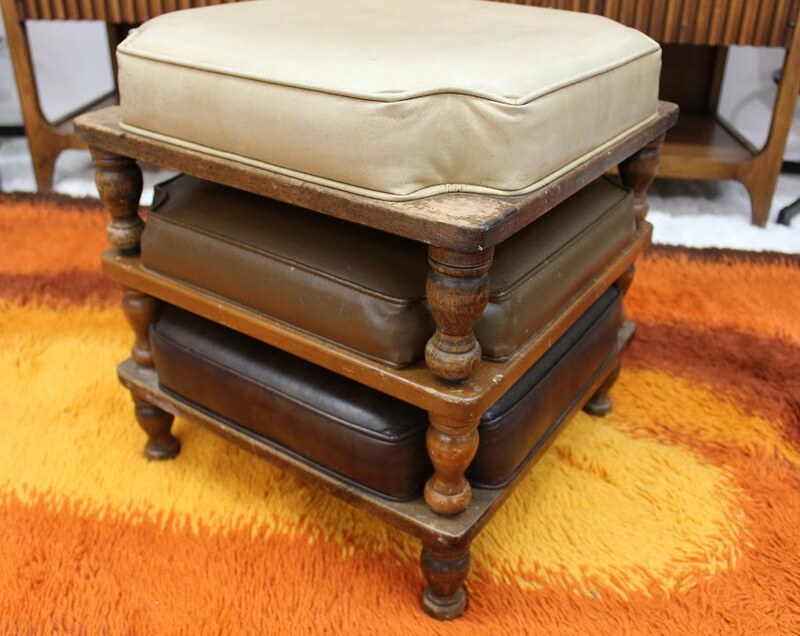 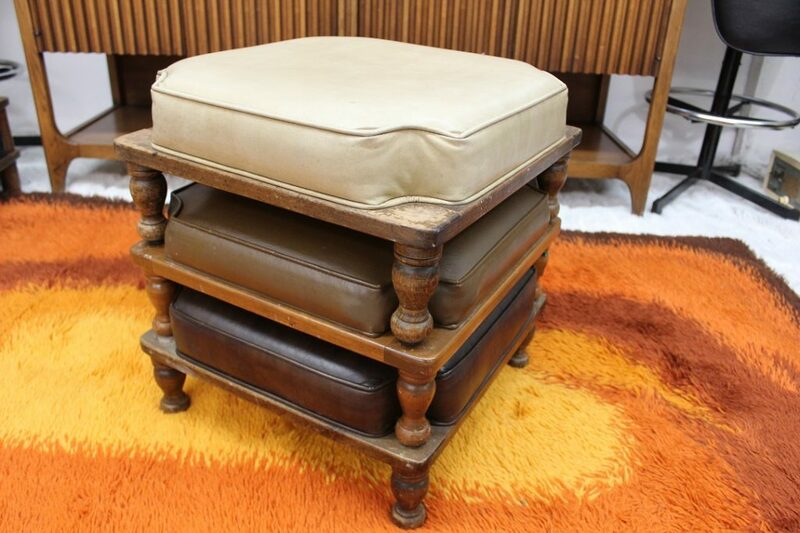 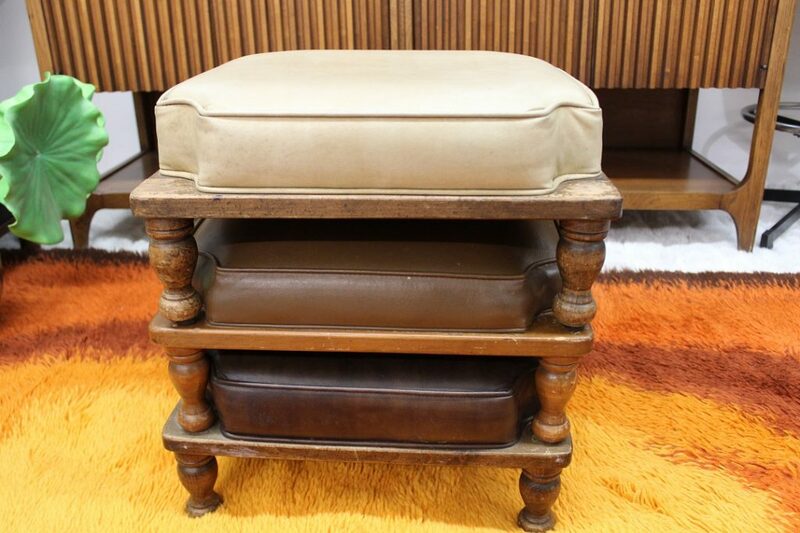 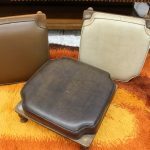 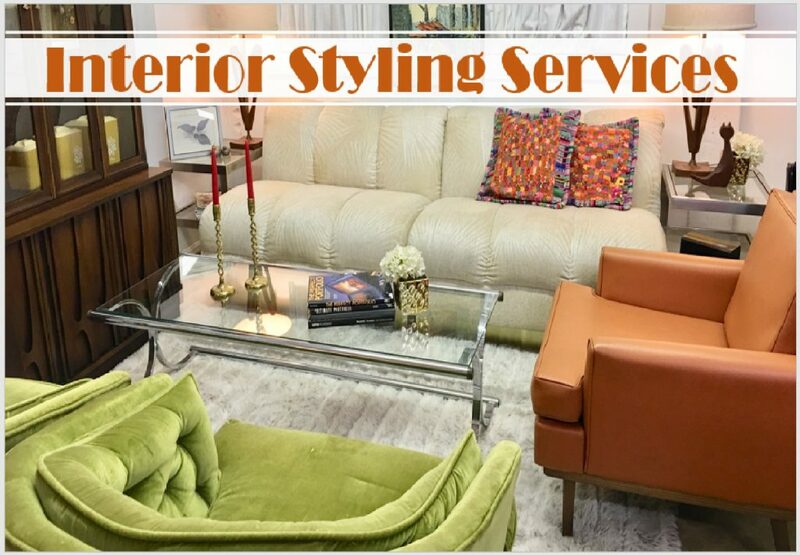 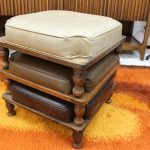 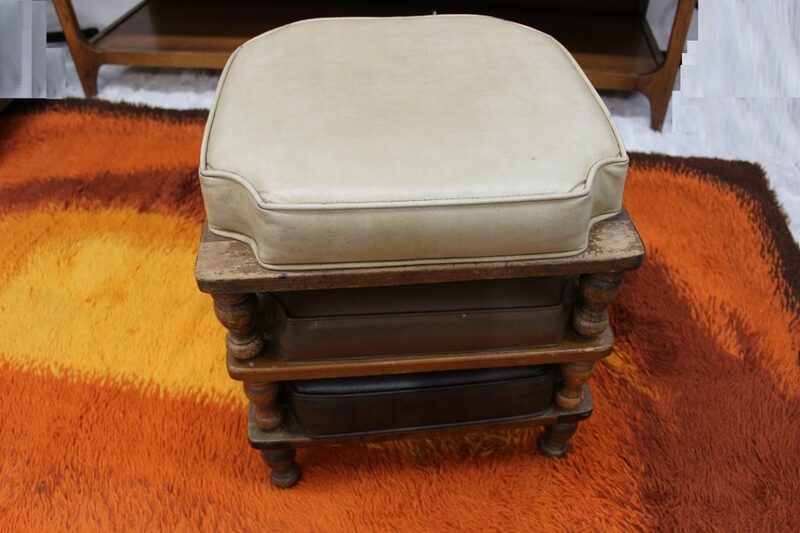 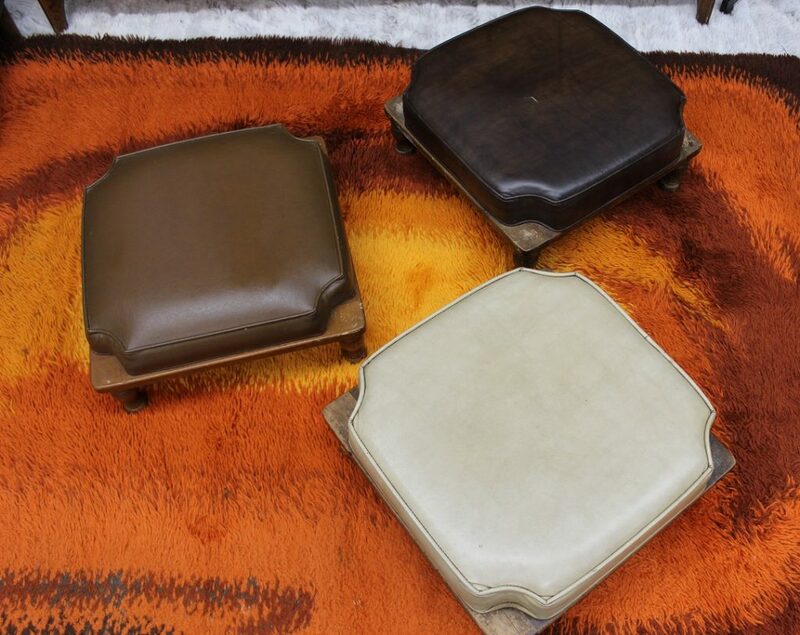 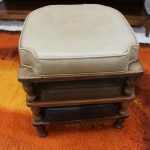 These beautiful stacking footstools come to you in 3 different brown tones to give some interest and extra comfort to any room. 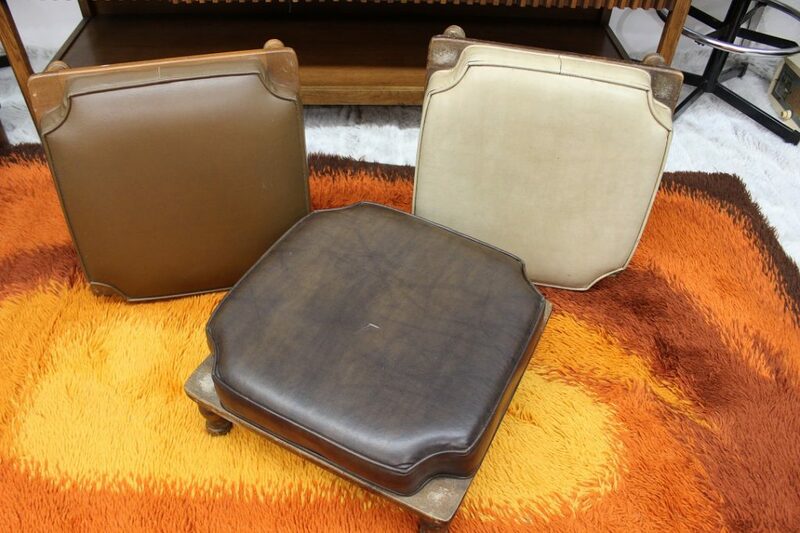 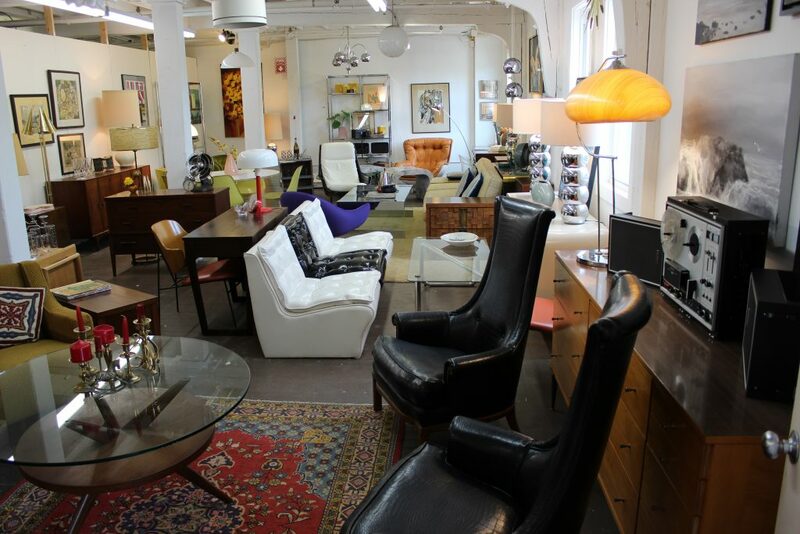 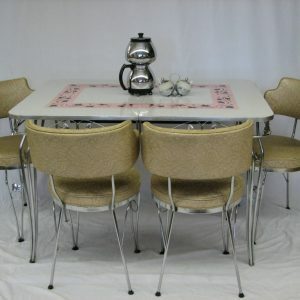 The upholstery is in great condition with only 1 cut visible in the middle of the darkest one. 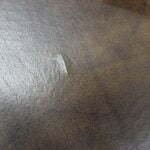 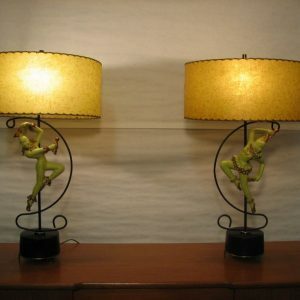 The darkest and lightest have very soft vinyl but the middle one has a much stiffer vinyl. 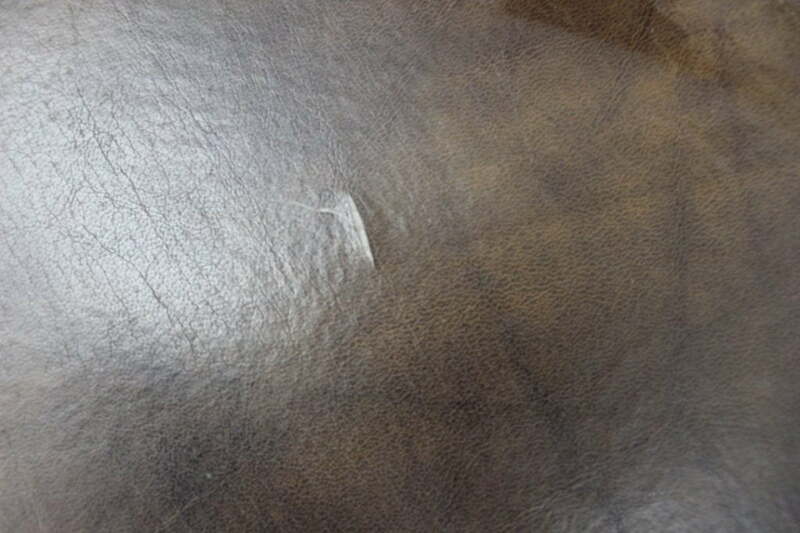 At some point, it might have been redone. 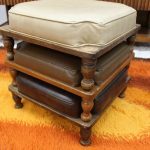 They measure 16 1/2″ x 16 1/2″ x 18″ when stacked.